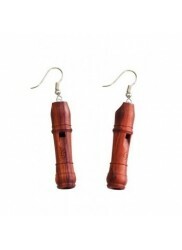 A range of wooden recorder earrings, broaches, and tie pins. 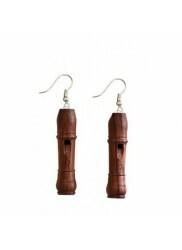 Beautifully crafted in your favourite recorder wood. A perfect present for yourself or a recorder obsessed friend! Tulipwood. 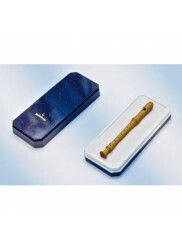 Handcrafted miniature recorder, length ca. 8 cm Playable! Grenadillla. 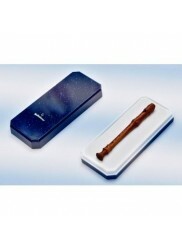 Handcrafted miniature recorder, length ca. 8 cm Playable! Boxwood. 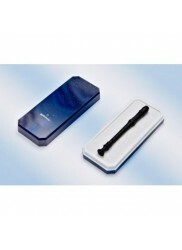 Handcrafted miniature recorder, length ca. 8 cm Playable! Rosewood. Handcrafted miniature recorder, length ca. 8 cm Playable! Grenadilla. Handcrafted miniature recorder, length ca. 8 cm Playable!